Welcome to my blog. An intimate collection of my travel adventures, tutorials and behind the scenes. My mission is to make you travel, learn and experience life with me. Our journey started in IAD, with a nearly 6 hour flight to Keflavik. We decided to go over in March (winter time) since it was my birthday. I was nervous with excitement, albeit it wasn't my first time there, it was my first time spending proper time over there. We arrived close to 7AM, exhausted from the lack of sleep but pretty excited to see Iceland. Prior to that, I had only spent an 8 hour layover there, driving around - which made me fall in love with the country. I was only hoping this time would be as great. Having mapped out a trip involving a mixture of popular landmarks, city and some personal oddities, we grabbed our rental car and a portable wifi device, we headed off the southwestern coastline. Our target was to reach Jökulsárlon (More famously known as Diamond beach area). Tip: Always rent a portable wifi device. It provides superb connection, it is relatively affordable and helps you with navigation. Our drive there was gorgeous, with many stops to admire the beauty of the ever-changing nature. We were surprised by the beautiful coastal town of Vík, which I unfortunately did not get to photograph beyond some iPhone images. 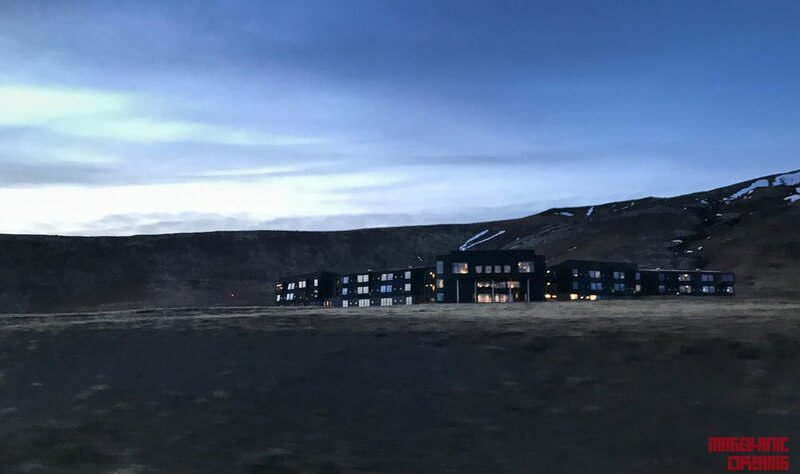 Continuing forward on, we were going to the Fosshotel Glacier Lagoon, a very striking hotel that seemed to blend in the tephra tones of the landscape. It was even more impressive in person. 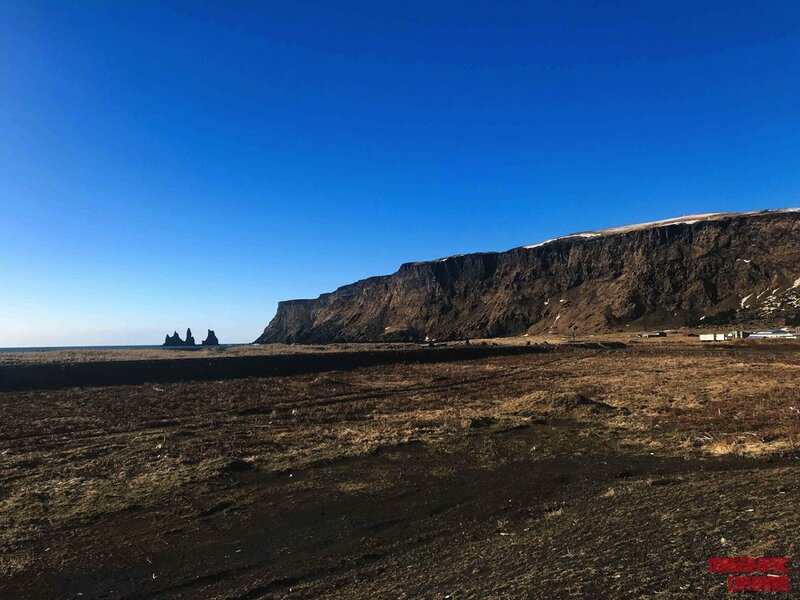 It did offer splendid accommodation and location, being near to the Diamond Beach, having a small waterfall nearby, beautiful seaside with long planes of dark tephra and remote location for Aurora viewing. The rooms were absolutely stunning, with a bright yellow wool blanket to contrast the ashy tones and a large seating area with a window. We decided to eat dinner there at the Haust Restaurant: the location and selection was unbeatable. The food was wonderful and with locally sourced ingredients. Definitely worth it. 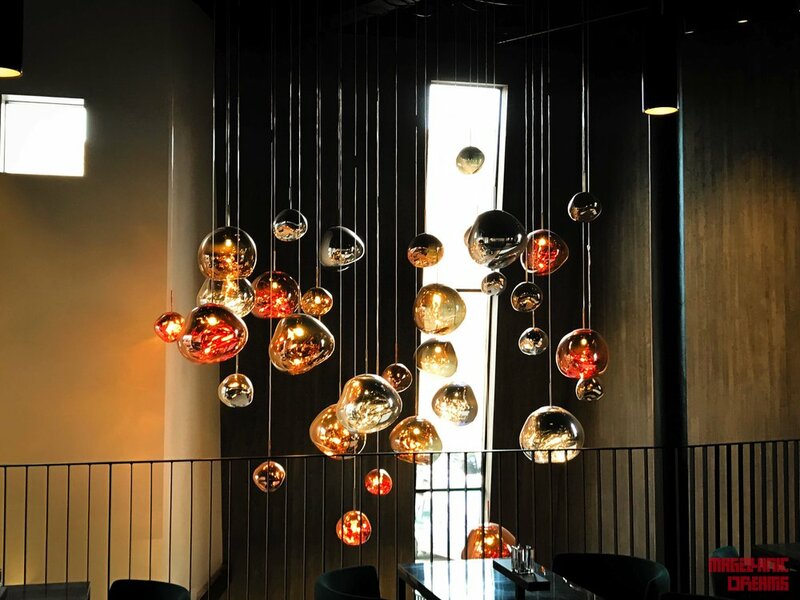 It is known that for outsiders, dining/eating in Iceland can be very expensive. The breakfast buffet was alright, very packed as expected, the food was decent, but nothing out of the ordinary. Tip: Balance your dining out with some food bought at supermarkets such as Kronan, which has a good selection of food and is relatively cheaper to other shops, you can easily get great ingredients for sandwiches, protein bars/shakes, fruits, nuts and Skyr to fill you up. Back to photography, I was able to capture some images of Jökulsarlon with my camera, albeit it was very windy and cold and I was ill-prepared for that task. Now I know that for my next visit I need to better prepare myself for that task. More layers and a sturdier tripod. The next day we headed back to the west, towards Reykjavik. This time we stopped for longer time to admire Skaftafell. I had wanted to go see it, but for some reason we weren't able to drive the road that would lead us near it. So I had to settle for some mediocre shots of it. Continuing forward on, we stopped by Vík once again. What a beautiful town. And they have an amazing little mall there, with all sorts of Icelandic products (skincare, gifts, food, clothing, art) as well as mountaineering/ice climbing equipment, along with a local Krónan. I really, really loved that shopping centre. Highly recommended. 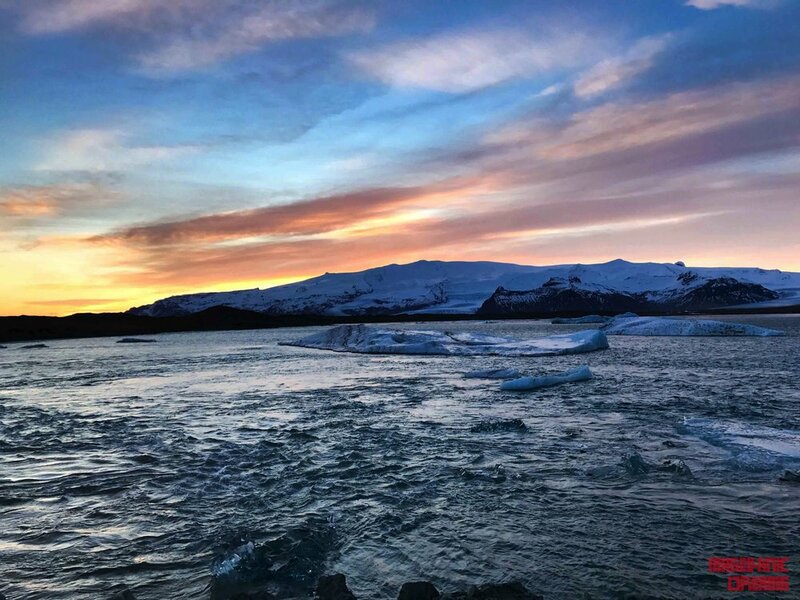 We were on a tight schedule to get to Reykjavik, hence we did not explore further Vík, but it is on my bucket list for next time. On our way to the capital, we made a stop at the Lava Centre and Skogafoss. Skogafoss was packed but I was fortunate enough to capture a beautiful rainbow. It was an impressive sight as well as the drive there. The Lava center; I cannot stress enough what a good stop that was. So stunning architecture, stunning exhibition where you have interactive displays of the Volcanoes as well as educational information about them. In addition they have a restaurant there, which I regret not trying it out and a lovely gift shop. Arriving at Reykjavik, we stayed at the Icelandair Hotel Reykjavik Natura. We chose that because it has a full spa on the lower level and the spa is naturally heated with geothermal energy. They had 2 different pools (one was mineral), sauna, steam room and relaxing area. Very wonderful way of spending half a day. Our stay at Reykjavik involved visiting the Perlan Museum. We only wanted to go to the Observatory deck, which was lovely. But I would have chosen to go at sunset. Morning time the light was very harsh - wonderful for a certain 'solar' portrait work, but not for cityscape photography. We then headed to downtown Reykjavik. I will be honest here, I was not drawn by Reykjavik in the least. It was not my cup of tea. Besides some art- dealer shops, the shopping opportunities weren't too mind blowing. So we headed to the Kringlan mall. It was alright, but I do find that you get better shopping done in the Airport or the remote shopping centres such as in Vík or the Geysir area. We did give a try the Soup in a bowl at Svarta Kaffid, which is a small café in downtown. It was a nice experience and a very large portion. Much needed when it was so windy and cold outside. The next day we headed off to our next destination: Geysers.